We wanted to make sure that our bottles are made from the highest quality materials. This is why each Meshbottle is built from a Stanpac glass milk bottle. Stanpac has been making classic glass milk bottles in the U.S. for over 60 years. 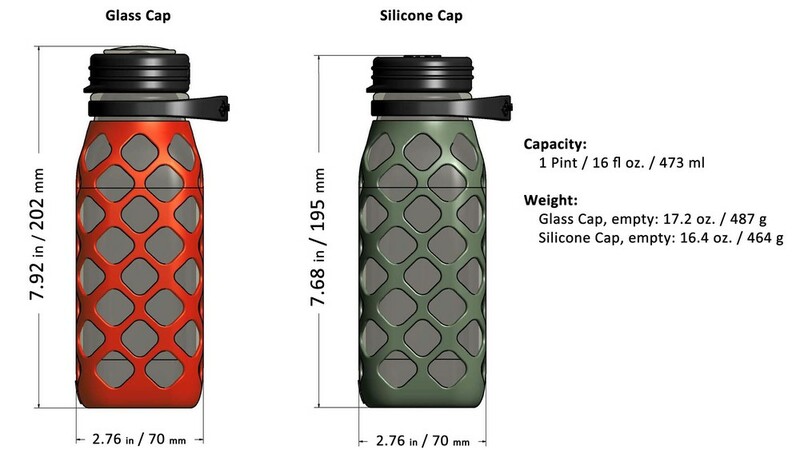 Their manufacturing expertise and our design solutions guarantee that you will have a beverage bottle that not only stands out, but turns heads wherever you go. Plastics have transformed our world and have made our modern lives possible. Sometimes, however, it's good to stop and think about their impact, not just on our health, but also on the planet. Statistical data shows that in the U.S. alone, 1500 plastic water bottles are consumed every second, 70% of those will never be recycled. When you decide to purchase a reusable glass beverage bottle, you make a step towards protecting the environment. Make the switch. Reduce, reuse, recycle, whenever you can.